Gene Galanter, an early and enthusiastic member of ISP, has died peacefully after a long and heroic struggle with cancer, during which he never gave up on his scientific projects and promotion of science. He was one of the key modern founders of the cognitive psychology revolution started shortly after WWII. He fought in WWII, a strong influence on his later life. He earned the French Legion d’Honeur, Bronze Star, Purple Heart, and Croix de Guerre with Palm, and Presidential Unit Citation. On return from France he graduated with a BA from Swarthmore followed by a Ph.D. in psychology from the University of Pennsylvania. Collaboration with S. S. Stevens at Harvard produced the enduring Ms. Ratio Scales and Category Scales for a Dozen Perceptual Continua. A fellowship at Stanford led to his influential book Plans and the Structure of Behavior with George Miller and Karl Pribram. Collaboration with Robert Bush and Duncan Luce led to the three-volume Handbook of Mathematical Psychology. Although not easy reading, these led the way in making explicit and testable models of perception and decision-making. He worked at Harvard, University of Pennsylvania and as Chair of the Psychology Department at the University of Washington. 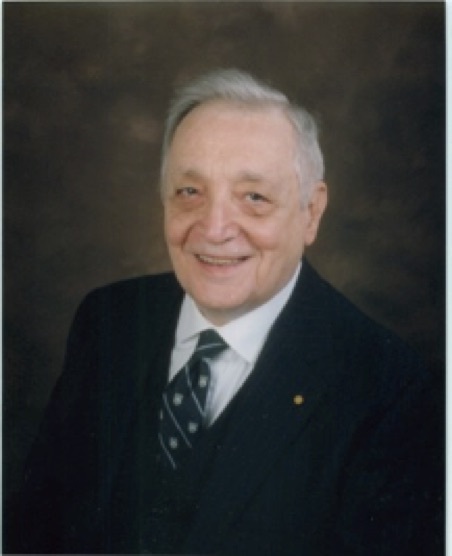 His final move was to Columbia University where he founded the Psychophysics Laboratory and was active and innovative in theoretical research, as well as running several US government research projects. He was an inspiring teacher. His popular undergraduate seminars continued until he was well into his 80s. He created a blueprint for teaching psychology as a science to students in all disciplines. He was a formidable Ph.D. supervisor, as I know well from exceptional personal experience. His students, their students, and their students’ students are scattered across the planet inspiring new generation of cognitive and sensory psychologists. His reach was truly international, including a fruitful year at the University of Hertfordshire inspiring UK psychologists. He was one of the greats of American psychology and will be sorely missed by his many friends and colleagues. His work lives on making a positive contribution to the lives of many people who would not even know his name. He is survived by: his wife Patricia, daughters, Alicia, Gabrielle and Michelle, and eight grandchildren.